Our never-fail turkey produces a holiday centerpiece that is excellent in every way that other turkeys often fall short. It’s not bland, thanks to a sugar-and-salt dry rub. It’s juicy as heck, because we nailed the optimal target temperature. 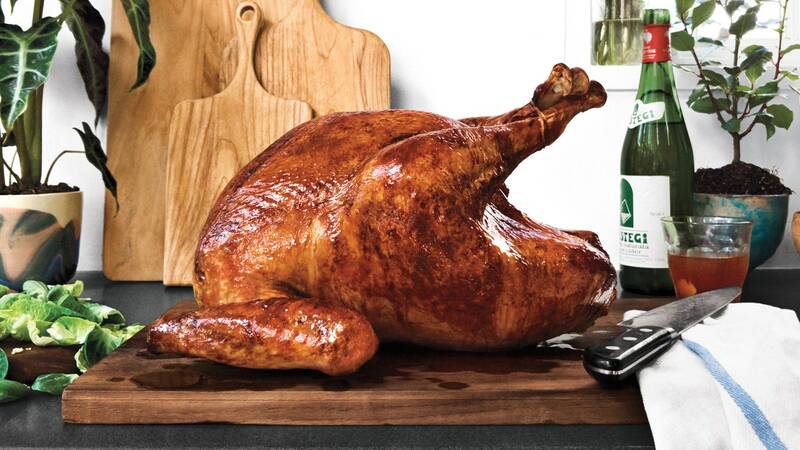 And cooking the turkey on a rimmed baking sheet is great for all-over browning.